The president of the California Public Utilities Commission said Thursday that he will not seek reappointment when his term ends at the end of the year. 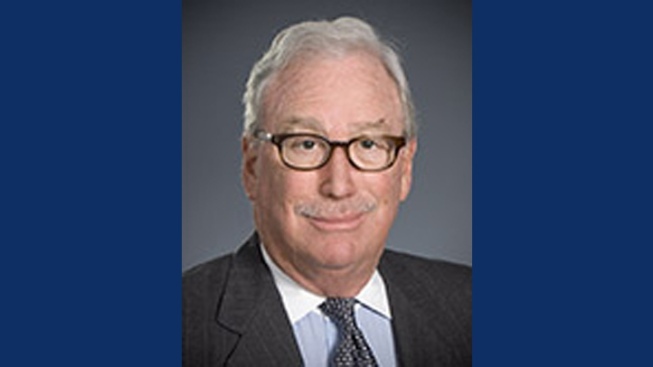 Michael Peevey made the announcement amid criticism of improper and unethical dealings with Pacific Gas & Electric Co. while the CPUC was deciding the penalty for the deadly PG&E pipeline explosion in San Bruno four years ago. Peninsula senator Jerry Hill and San Bruno Mayor Jim Ruane have long maintained that the CPUC is too cozy with utility companies it is supposed to regulate. On Thursday they held a press conference on the steps of the CPUC building in San Francisco to announce that Hill would introduce a measure to remove Peevey from his post should he be reappointed by Gov. Jerry Brown. Newly released emails show improper and secret communication between PG&E and the CPUC. Mark Matthews reports. Peevey said he will address this decision at the Dec. 18 commission voting meeting—his last as president. A new batch of emails released this week by PG&E disclosed apparent quid pro quo arrangements between Peevey and a PG&E executive who was fired last month after a first set of emails showed improper communications between the CPUC and PG&E over the San Bruno case. The U.S. attorney’s office is now formally investigating the series of email exchanges detailing the discussions between the CPUC and PG&E. In a series of reports over the past two years the NBC Bay Area Investigative Unit has exposed the cozy relationship between the CPUC and regulated utility companies. Last April NBC Bay Area cameras caught Peevey at a conference in wine country with representatives from utility companies instead of at a senate hearing in Sacramento. Hill requested Peevey’s presence at the hearing to answer questions about a confidential, internal report that criticized CPUC leaders for maintaining a too-close relationship with regulators and failing to make safety a priority. PG&E is under fire--again. Late Monday afternoon, three senior employees have lost their jobs--stemming from their questionable relationship with the PUC. Chief Investigative Reporter Tony Kovaleski has the new calls now for the leader of the PUC to step down. But first, Marianne Favro reports from San Francisco where she talked with PG&E. In June 2013, before the CPUC was set to vote on the San Bruno penalty, the Investigative Unit uncovered that Peevey accepted an honor from a union that represents employees from PG&E and other utility companies. And, late last year NBC Bay Area found that Peevey accepted more than $165,000 worth of gifts and travel in six years from nonprofit and special interest groups funded by utility companies. Hill said the issues exposed by NBC Bay Area, the pressure San Bruno city officials and lawmakers put on Peevey to step down and the recent email communications paint a very clear picture. NBC Bay Area's cameras found Peevey at a public speaking engagement in Los Angeles late Thursday afternoon where he said he had no comment.